The home side are just back from their US trip playing NBA sides but they will be looking forward to welcoming German giants Bayern Munich to Istanbul. The clubs met for the first time ever last season with the Turkish side triumphing in both games. Bogdan Bogdanovic was a key figure in both of those games, averaging 17 points against the German side. The Turkish team will be hoping that there are no after-effects of their jaunt to the United States, and even though they lost to Oklahoma City Thunder, the victory over the Nets in Brooklyn will surely inspire the players in this home game. Ekpe Udoh is all set to make his Euroleague debut in this game but one player who will be keen to carry on his form is Gigi Datome who has notched 25 free throws in a row in the Euroleague. 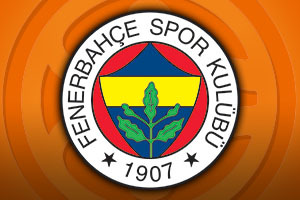 With a fourth placed finish last year, Fenerbahce will be determined to go further this year and their sights are set firmly on the Final Four. 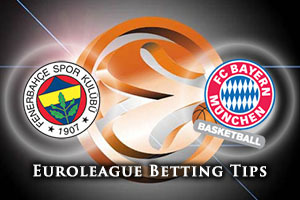 This will be the third season in a row that FC Bayern Munich have been involved with the Euroleague and they are slowly getting back to a high standard in European basketball. Alex Renfroe is a player who is on form in the Euroleague, with a minimum of 1 steal in 10 of his last 11 games and a minimum of one three point shot in his last 8 games. This week should also mark Dusko Savanovic’s 100th Euroleague appearance, and the player will be keen to celebrate with a win. The home side are clear favourites for the Friday night game and you can find Fenerbahce Istanbul at -11.5 at odds of 1.90. If you would rather take on the Over/Under market for this one, you should look to go UNDER 161.5 at odds of 1.90, which should get your weekend started positively. Bet Now!